According to a recent study from the National Highway Traffic Safety Administration (NHTSA), approximately 500,000 truck accidents occur each and every year in the United States. With such a large mass of motor vehicle collisions, truckers are given a serious responsibility to navigate the Georgia roads and highways safely. Motor vehicle collisions involving trucks result in a fatality 10 percent of the time. These statistics indicate that for every 10 truck crashes, 1 death is suffered. Truck DWI/DUI is a very serious matter throughout the United States and most certainly in the state of Georgia. 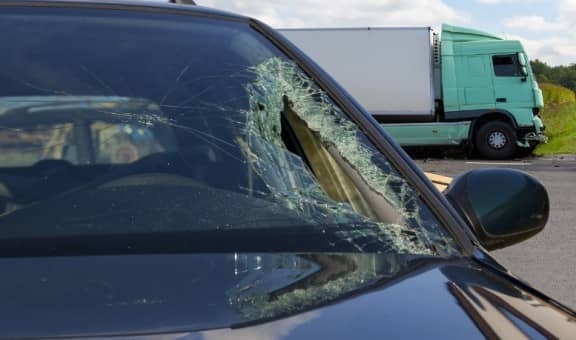 Truck accidents involving truckers who are under the influence of drugs and/or alcohol tend to be the most tragic kinds of collisions, often ending in severe injuries or traffic fatalities. Even worse, truck DWI/DUI crashes are 100 percent preventable. Unfortunately, however, far too many truckers across the nation break the law and operate their vehicles under the influence. Through these rules and regulations, law enforcement officers throughout the state of Georgia are able to make the roads and highways much safer. Unfortunately, however, many truck drivers do not survive motor vehicle collisions involving a truck DWI/DUI. The combination of a the size, weight, and structure of many large trucks coupled with the typical severity of injuries in these types of accidents creates a fatal traffic situation. Truck collision claims are typically very complex. The complexities involved in these types of crashes tend to involve the limited knowledge of who is truly to blame for the collision. As such, the litigation of a truck DWI/DUI case is rather difficult. Truck crash lawyers must be able to craft a case which proves that the truck driver was responsible for the crash due to the drugs and/or alcohol in which influenced his unsafe driving. DUI stands for “driving under the influence”. When a truck driver makes the fatal mistake of getting into his vehicle while intoxicated, the damages can be enormous. As a result, the accident victims are often entitled to compensation to pay for the property damages and medical bills associated with the crash. However, without adequate representation, proving that the trucker was in fact under the influence is difficult.